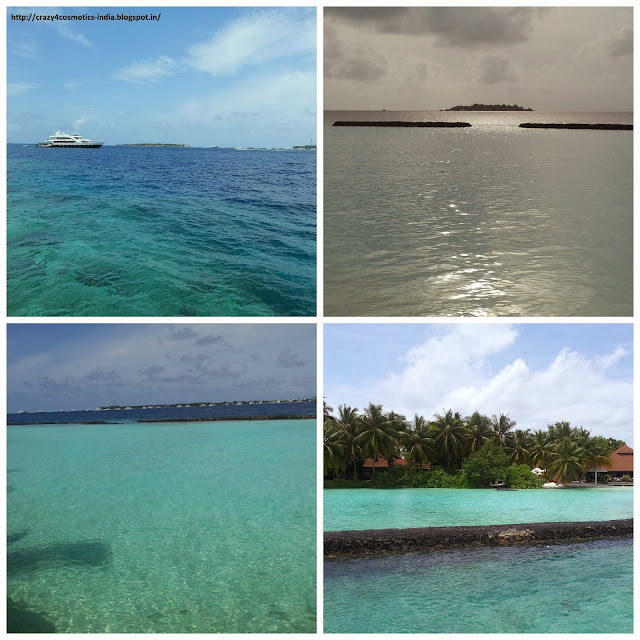 Well I am back with a post in the travel section with my honeymoon experiences at one of the most beautiful countries in the world and one that everyone would love to visit- MALDIVES. Post our sangeet,wedding and reception we really needed a break to relax and what better place than Maldives with its white sandy beaches and azure light blue waters. We had been planning for the honeymoon well in advance and Maldives was our first choice. 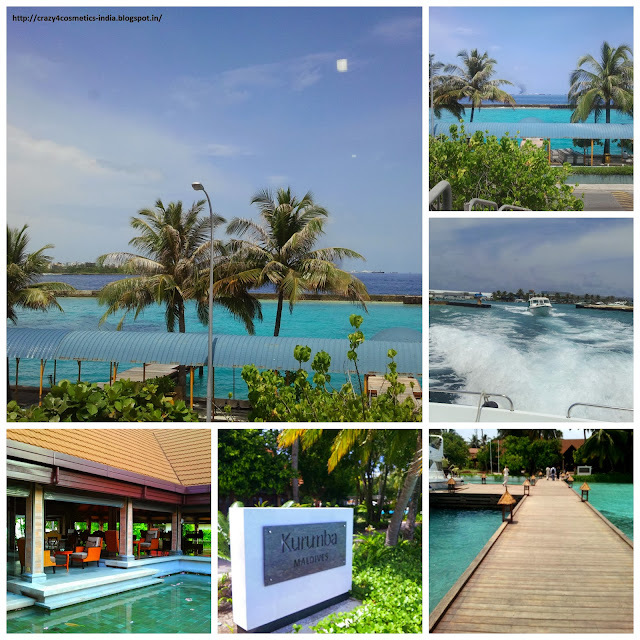 However choosing a resort in Maldives was not easy with more than 100 resorts each with its uniqueness and beauty catering to different budgets. 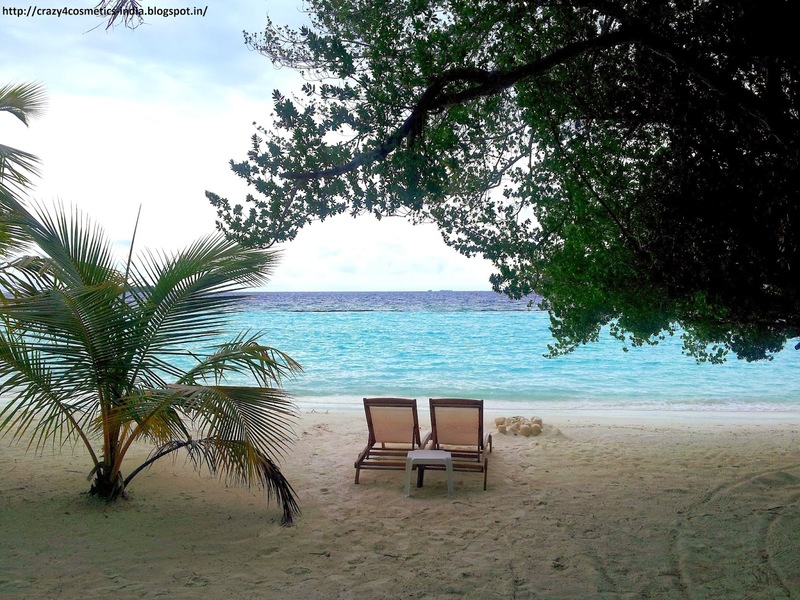 I will probably do a post later on – How to choose a resort in Maldives. Post a lot of research and reading tons of reviews in tripadvisor we finally booked 6 nights and 7 days at Kurumba Maldives. 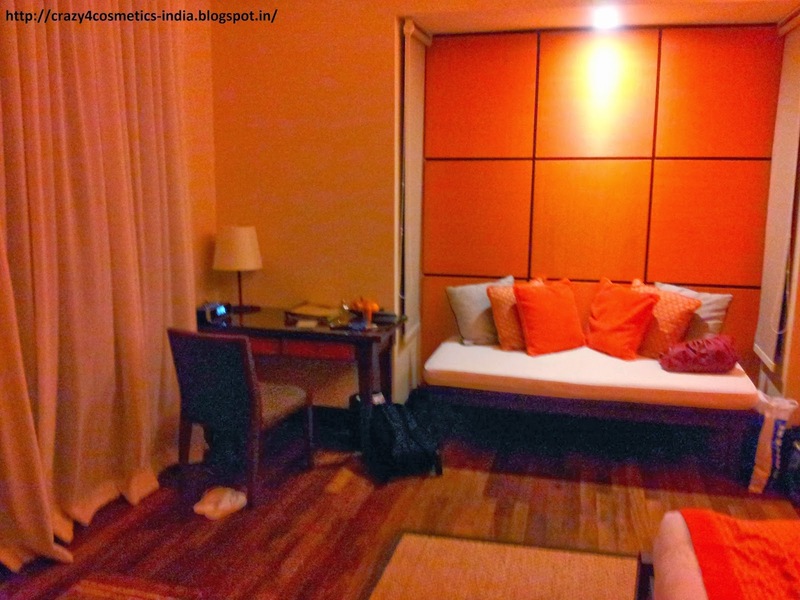 We booked the flights and the hotel through the COX&KINGS in Chennai who gave us excellent rates ( It was not a package deal ). 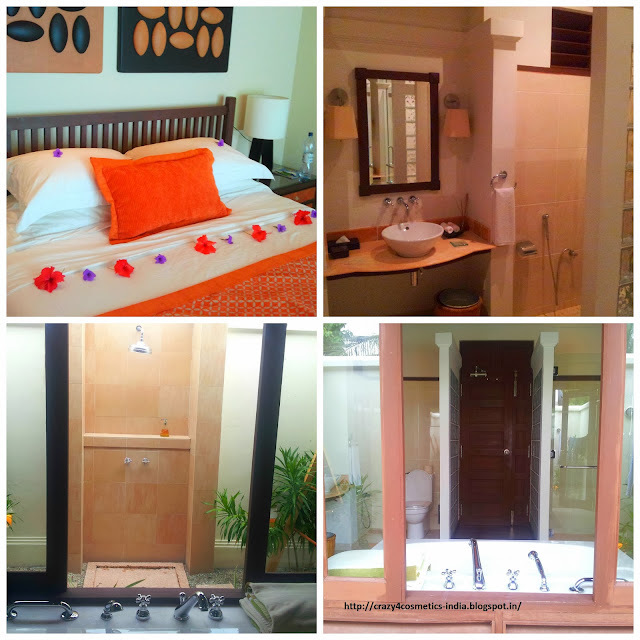 We had booked 4 nights in an ocean front beach bungalow and 2 nights in a pool villa. 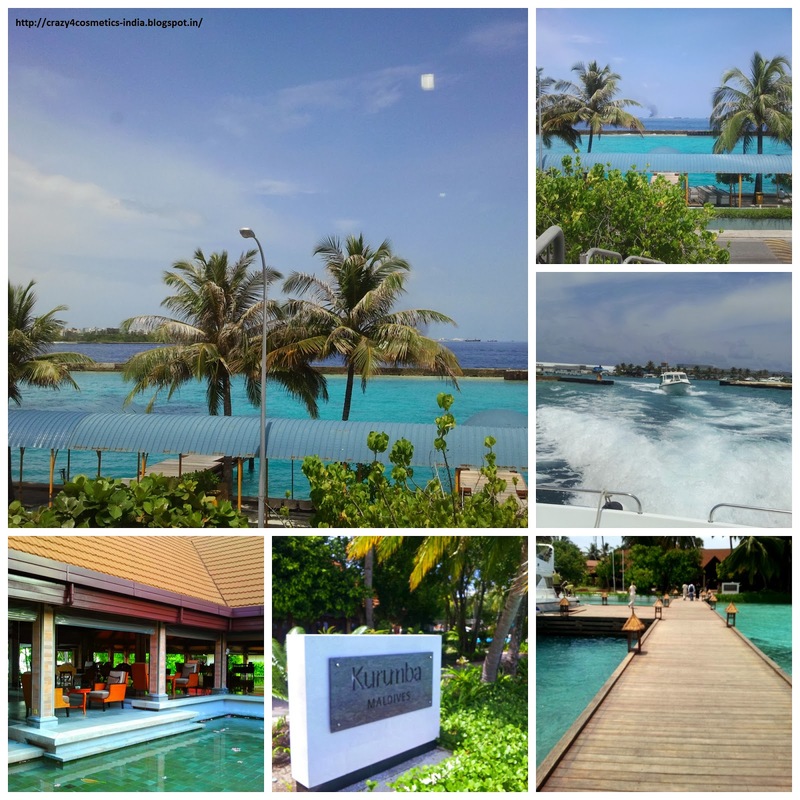 Kurumba Maldives Honeymoon -September 1, 2012 : The day of our trip finally arrived and we could hardly wait to reach Male. Our Air India flight was delayed by almost 3 hours at Trivandrum ( By the way never ever book Air India !!! ) 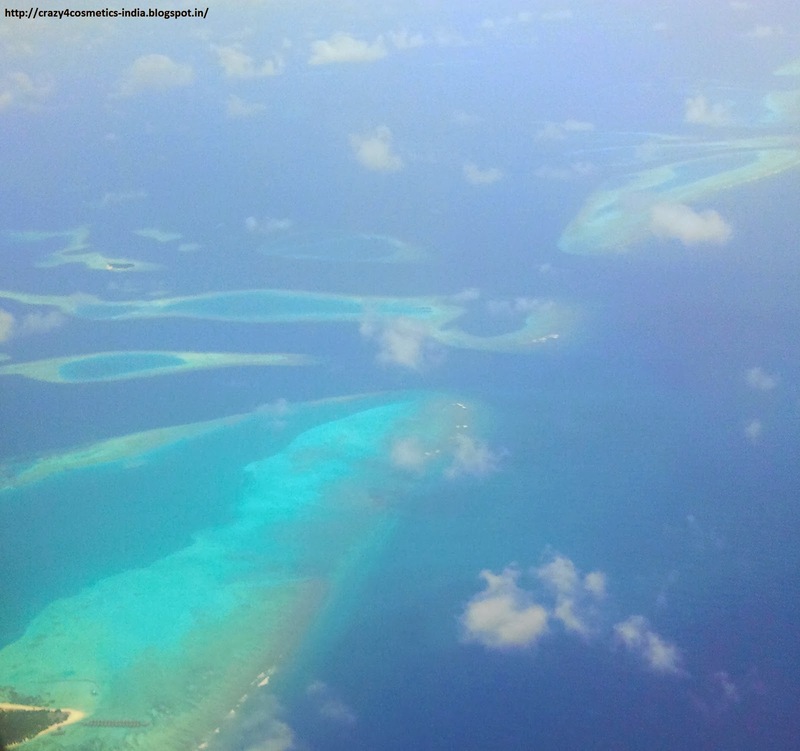 and finally we were airborne.. Do try to get a seat by the window as the views that greet you as you fly into Male are just amazing!!! Male airport though small truly captures the spirit of Maldives with its serene beauty.Crystal clear blue waters greeted us as soon as we reached Male airport. Post our checkout and collecting our baggage we headed out and were greeted by our representative from Kurumba Maldives who whisked us off to our private speed boat to take us to the resort. PS: It is better to buy a local sim from outside the airport as calling from the resorts are costly. A local sim with a USD 20 recharge would suffice as calling rates are not that costly. 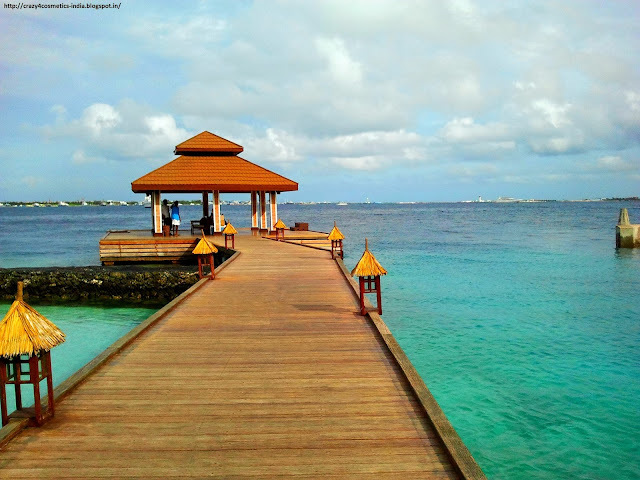 Male International Airport is on the main island and you are transferred to the resorts either via a speed boat or a sea plane (for resorts far away from the airport ). Kurumba Maldives is just a 10 minute speed boat ride from the airport jetty and our speed boat was waiting for us as soon as we landed. The speed boat was more like a small luxury yacht which we shared with a Japanese couple and in 10 minutes we had our first views of paradise. Kurumba in Dhivehi ( Maldivian language ) means coconut and the resort is dotted with beautiful coconut trees and white sands accentuating the effect of paradise. Kurumba is the oldest of the resorts in Maldives and the resort that introduced Maldives as a tourist Hot spot to the world. We were greeted at the reception with wet towels and coconut icecream by Mr. Hassan who by the way was the perfect host during our entire stay . After a quick checkin we were transferred to our Deluxe beach front bungalow via the beach buggy. Our room was just a stone’s throw away from the beach and was very spacious and had all the necessary amenities we were looking for. The first thing post our checkin in was to change into our beach wear and head straight to the water as the clear waters were really tempting. We did not snorkel on day 1 as we did not have the equipment , but post a lot of playing around and swimming we were really tired and had worked up a big appetite. 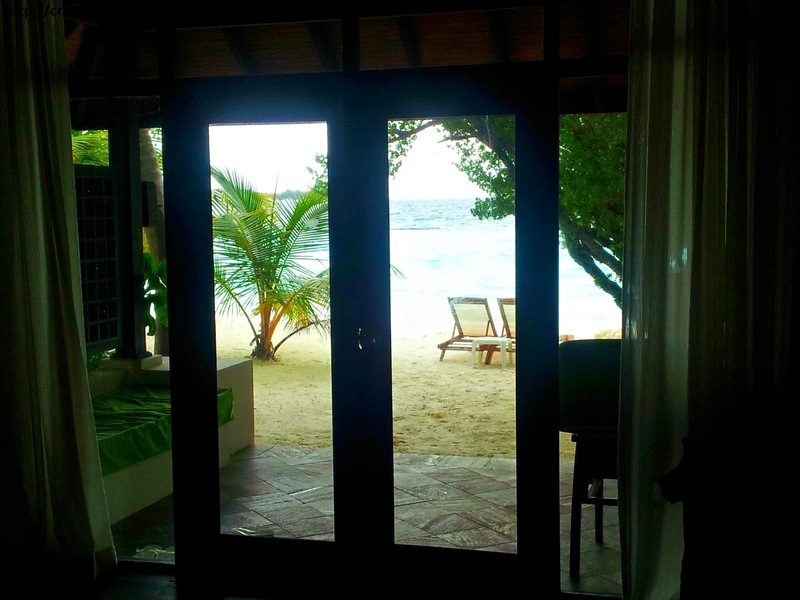 Can you see the beach just outside room ? Since both hubby and me are crazy about Italian food we first tried out the Italian restaurant- La Cucina. 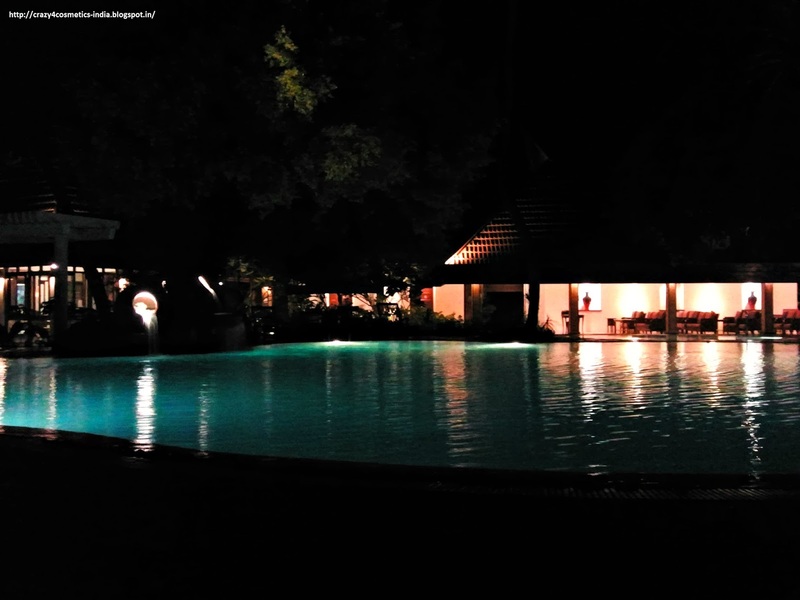 The ambience in the restaurant was perfect and food that we ordered was delicious. Unfortunately we found out that selection for vegetarian was very minimal and the portions served were not value for money. This was probably the only low point during our whole stay. Our day 1 in paradise came to a close with a walk around the resort and off to bed early as we were tired. We just could not wait for day 2 to dawn.